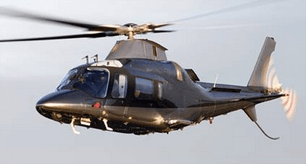 The Agusta Al 09 is a sleek and quiet corporate helicopter designed primarily for executive transport and is the fastest executive helicopter in its class. The finesse of the lines and the streamlined frontal area conceal one of the most luxurious helicopter cabins available. 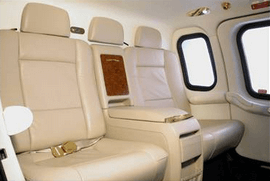 The Al 09 offers an ideal business environment for the transfer of passengers and is considered the ultimate in corporate and executive transport.